Removing a tree from your property might seem like it is going to be an involved, messy task. However, a professional tree service like Advance Tree Pros can perform a tree removal without creating a mess on your property. 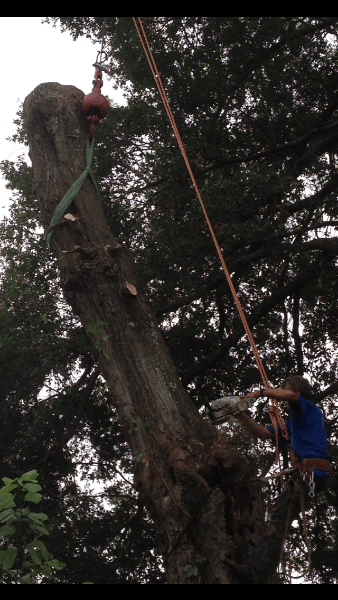 When you hire professionals to take care of this for you, a tree removal can be fast and easy. Depending on the size and position of the tree, this can take as little as a few hours to complete. With local crews ready to report to your location as soon as you need us, we can take any tree away from your property whenever you call. Our team of maintenance and removal experts is ready to provide any kind of tree removal service you need, from full tree removal to getting rid of the stump that remains after the tree is gone. Our local trucks will remove the tree from your property and take it for responsible disposal. This helps to ensure the wood is put to good use when it leaves your property instead of being wasted. Our service is even available during hurricane season, when local inclement weather can mean more falling trees than normal. Hurricanes bring intense wind and rain, that cause damages to all kinds of property. With surging winds and lightning strikes, the average summer tropical storm can take down trees, powerlines and other structures, making it hard for someone with no experience to get the tree out without harming themselves or causing property damage. We have the best range of equipment to help maneuver trees out of any situation, including a crane for hard to reach trees that may be positioned close to a building. Advance Tree Pros is committed to providing the best possible service at an affordable price. You can trust our team of experienced tree experts to carefully remove any trees that are in danger of toppling over or perform regular pruning and maintenance to keep your tree in optimal health. With local crews traveling with the best tools on the market, we ensure total customer satisfaction by handling all kinds of issues that may arise with trees. Having a local, affordable tree service to help keep your foliage looking great benefits you as the homeowner in many ways. It enables you to take back the weekends and evenings you spend maintaining your yard, which can be an exhausting job. It also removes the need to concern yourself with buying lawn care equipment and tools over the years, which can represent a significant savings. It also gives you the benefit of the expert knowledge of a team that has been doing this for many years. With years of experience maintaining popular tree types in the Orlando area, our experts can tell when there is an issue arising within one of the trees and how to respond to it. With proactive treatment, many of the issues that might plague your yard can be resolved. Our team members can suggest ways to improve the look of your yard and the best ways to keep your trees thriving. Trimming your trees is just one way to improve the overall look and feel of your property. With proper trimming and maintenance, your trees stay healthier and shed less of their foliage. Healthy trees hang on to their leaves better, reducing the amount of time you must spend on raking and cleaning. They encourage visits from wildlife, like birds and squirrels, which can keep the tree bio-diverse and healthy. Dead or dying branches are less likely to fall, because our service will cut them down and remove them long before they have a chance to fall. Cutting your tree back can be challenging if you have never done it before. Different kinds of trees should be pruned in certain ways to highlight and emphasize their natural beauty and height. For example, you would not trim a leafy oak the same way you cut a blue spruce. Each kind of tree needs different amounts of water, sunlight and pruning to reach its ideal height and shape. Learning everything there is to know about the different trees on your property can take much longer than you realize, and in the meantime you can miss the signs of a larger issue or disease. Not only can you put yourself at risk of being hurt when you try to prune trees on your own, you may also do more damage to the tree and nearby property if you cut the wrong branch or are unprepared for where it lands. While you may set out to save yourself money by doing it yourself, chances are you will end up calling a professional service to fix any issues you create. Calling a qualified tree company from the outset is often the smartest way to go, saving you time and money. Our crews use advanced cutting and pruning techniques to keep your trees looking great and healthy. Proper trimming stops errant branches from ruining the overall look of the tree and creates a better visual effect overall. Once properly trimmed and pruned, your trees can provide more privacy from neighbors and passerby or highlight the architectural style of your home. If you are looking for the best local service to provide affordable care for your trees, Advance Tree Pros can help. 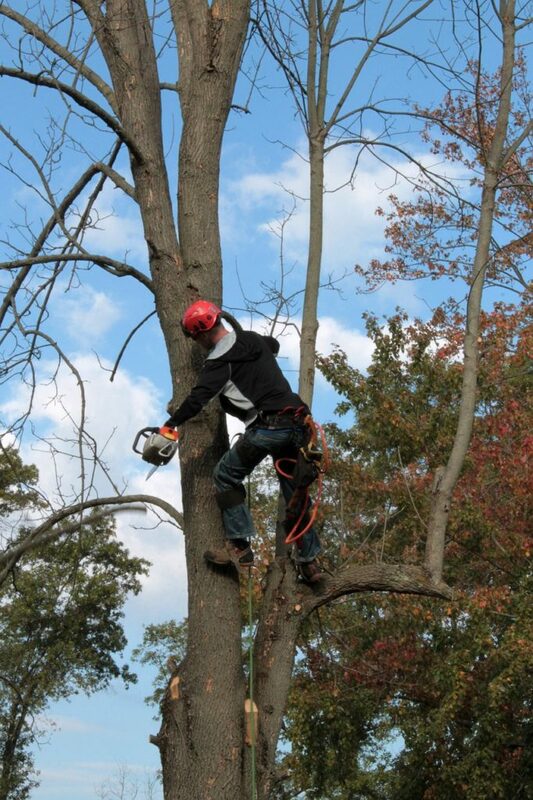 Contact us today to find out more about our tree trimming, pruning and removal services.